MEIKO Offenburg, the well-known manufacturer of commercial dishwashers and cleaning and disinfection appliances, recorded a consolidated turnover of 260 million euros in 2012 - an increase of 10 million euros over the previous year's figure and a new record in the company's 85-year history. 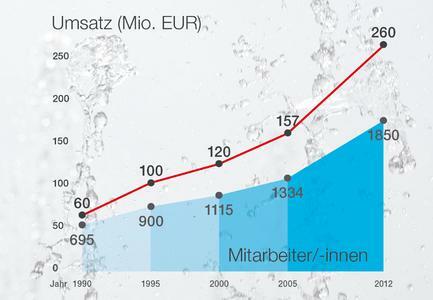 MEIKO Maschinenbau and 23 subsidiaries around the globe all played a part in this achievement. 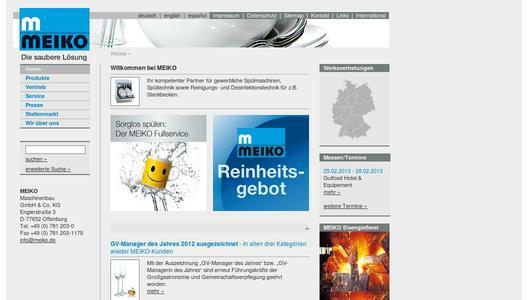 The MEIKO Group now employs more than 1,800 people worldwide. The Offenburg site, home to the company's head office and primary production facilities, reported an order intake of 164 million euros and a turnover of 166 million euros (+ 4 percent). A total of 1,050 employees contributed to these results. 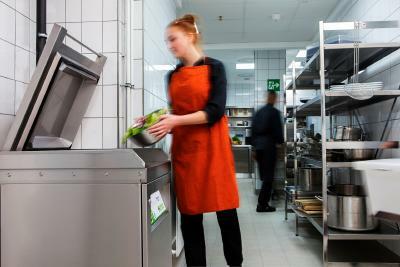 Domestic orders for commercial dishwashing systems rose by almost 2 million euros to more than 46 million euros, while exports of cleaning and disinfection machines jumped by over 40 percent. This significant increase was based on a number of orders, including the largest single order in the history of this product group for a hospital in Canada, worth more than 3 million euros. Double-digit increases in turnover were recorded in France, Great Britain, the Netherlands and the USA for the entire portfolio of MEIKO products. MEIKO distributed its products in more than 90 countries in 2012 and currently operates its own subsidiaries in 12 countries. One new addition to this part of the MEIKO Group is the Regional Office South East Asia, which will be providing services to neighbouring countries in South East Asia from its office in Kuala Lumpur, Malaysia. The extraordinary success story of the M-iQ series of conveyor warewashers - launched in late 2009 - continued unabated, with the 1000th M-iQ machine rolling off the production line in mid-2012. At year end, the total value of M-iQ orders was up 20 percent on the previous year. The novel AirConcept system of waste air heat recovery for dishwashing machines provided additional customer benefits in the form of reduced operating costs and enhanced environmental credentials. The quality of MEIKO's products and services once again led to a number of awards and prizes in 2012, including Best of Gastro (Helsinki), a gold "Top Hotel Star Award" and the "Grüne Band" sustainability award. In addition, MEIKO was awarded the top spot in the "Large Equipment" category and granted the status of "Super Partner" by the German Trade Association for Gastronomy and Commercial Kitchen Equipment (GGKA). The company's business expectations for 2013 are positive. 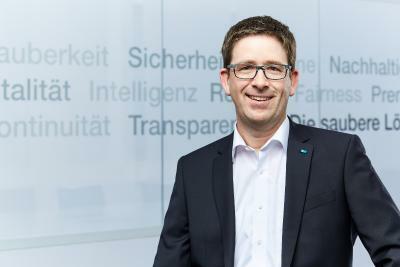 This was reflected in the announcement of an investment programme totalling more than 10 million euros, the largest component of which involves the construction of a new dishwasher production facility at the company's Offenburg site.